98 of 104 people found the following review helpful. Like some of the other reviews, I was hesitant to buy, but for me, mainly because of the price. I thought it would be really cheap. I was wrong! 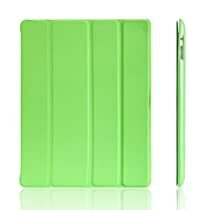 This case is extremely slim and doesn't add weight or bulk to my iPad like other cases do. The iPad snaps in, so is very secure. The grey color is very pretty also. Very pleased with this purchase. 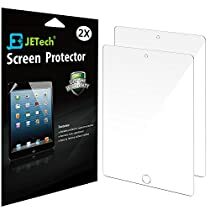 I ordered this as a replacement for an iPad SmartCase for the 3rd and 4th gen. 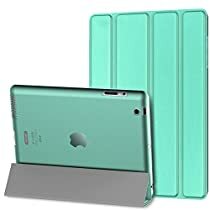 I was astounded by the cost for an Apple SmartCase for the old iPads. I went out on a limb with this one, but figured even if it is a pile of poo, it's only 12 bucks. Well, my iPad just snapped into place like it was designed to. All of the ports line up, the magnetic cover shuts off the screen as well as folding into a little stand, and looks decent. Only real gripe is the case only snaps onto the iPad by two small areas on the left side, while the right is one big snappy place, gripping around the edge of the glass/frame lip. But really, it's main function is as a stand and minimal protection while it is closed. So by those two criteria, it works great and is almost a direct clone of the Apple smart case for 60 bucks less. If this had an Apple logo on the back, it could almost pass as OEM (original equipment manufacturer). So, get an Apple SmartCase for 70 bucks, or get 5 of these. No brainer.